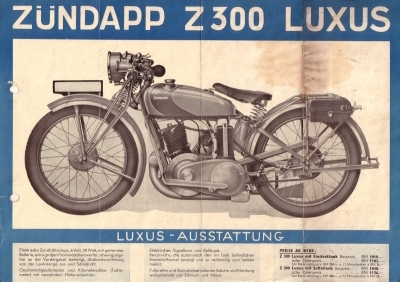 Zundapps.com attempts to document each of the pre-war and inter-war Zündapp models and host a registry of surviving examples. While Zündapp survived World War II, it was never able to regain its prior seat amongst the world's large motorcycle manufacturers. Now defunct, Zündapp lives on in the community of enthusiasts who keep these great motorcycles on the road. 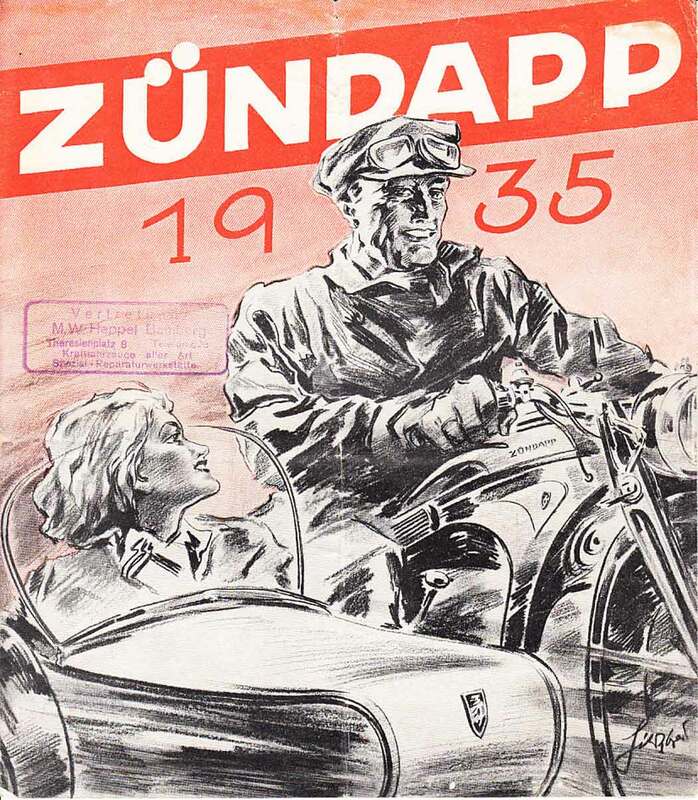 Zündapp was founded in 1917 by Dr.-Ing. E. h. Fritz L. Neumeyer and Friedrich A. Krupp, Essen, under the name: Zünder und Apparatebau (Ignition and Equipment Company) G.m.b.H, Nürnberg. They supplied ignition equipment to the German army until the war ended in 1918. In 1919, after the transition to a peace-economy, the company changed its name to: Zündapp company for the construction of special machines G.m.b.H. in Nürnberg. At this time, they also started producing light machine parts and in 1921, the fabrication of motorcycles. In the following years, the small, nimble machines were known throughout Germany as "Zündapp, the motorcycle for everyone". In the early 30's, Zündapp started to produce boxed-frame motorcycles with quiet, low maintenance shaft driven transmissions. As Germany regained its former economic prosperity, Zündapp followed suit by manufacturing larger motorcycles with multi-cylinder 4 stroke engines displacing 500cc, 600cc and even an 800cc boxer 4 cylinder, the K 800. In 1938, Zündapp began delivering what would become their most popular motorcycle of this era; the horizontally opposed twin cylinder KS 600. The KS 600 was produced for both the civilian and military markets. The overwhelming success of the KS 600 would live beyond the destruction of the Zündapp factory in 1945. In 1948, production began on the KS 601(aka Green Elephant). The KS 601's motor was nearly identical to the KS 600 with few exceptions. In September 1939, as WWII began, all new motorcycles produced were diverted to the war effort. Most existing civilian motorcycles were also purchased and pressed into service. Many early wartime photographs of German motorized units feature the rugged KS 600 along with many other repurposed civilian motorcycles, often repainted in camoflauge military garb. Both Zündapp and BMW collaborated on this project, producing separate models; the KS 750 and R 75, respectively. While very different, roughly 70% of thier parts could be interchanged in the field. Delivery of first KS 750s began in late 1941 which coincided with the last KS 600 deliveries. From 1942-1945 Zündapp produced roughly 17,500 KS 750s exclusively to the Wehrmacht. If you would like to register your Zündapp, please click here. I have many parts books, manuals, magazine articles and advertisments. As time permits, I will add it all. If you have any Zündapp material which you would like to share, please contact me. Also, please feel free to add a link to my site and I will promptly return the favor. Please keep in mind that I developed this site with private, personal funding and time. I only ask that if you want to borrow a parts book or article that Zundapps.com be given credit.